As much as you would want to install, you definitely want to know how to buy cheap quartz countertops in Dallas. You want to find ways how you can buy and install them without having to spend loads of cash. Interestingly, there is a plethora of ways for you to do this, and this guide is designed specifically to help you do just that. So, worry no more and grab a notebook. 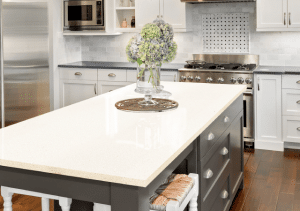 Make sure to keep these tips handy, so you will know how to get quartz countertops for cheap in Dallas! The idea is to never buy from home improvement stores. Why? That is because they offer expensive quartz countertops. 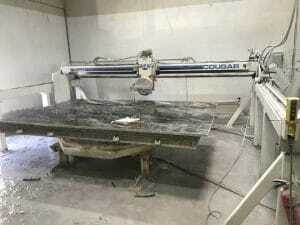 So, as much as possible, veer away from them and buy cheap quartz countertops from fabricators. These are companies who, as the name suggests, fabricate the material themselves. Hence they can offer quartz at a very low price, which is called factory-direct price. More importantly, you are likely to get discounts and deals if you buy from them, especially if you decide to hire them when it comes to edging, cutting, and installation. Basically, your goal is buy quartz pieces that have not been used or left remnants. These are actually cheap and will give you the opportunity to save tons of money. So, before buying quartz countertops in Dallas, ask your fabricator if they have remnants of quartz left. Interestingly, these are perfect for vanity tops if you are seriously considering a bathroom remodeling project. While you always have the freedom to use as many slabs as you can, it would be a great idea to go for less. 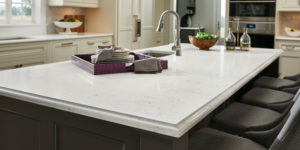 Just buy and use quartz countertops that fit on the least number of slabs. Remember: Each slab you use will only add more cost, so using a few of them will help you save a lot. Believe it or not, fabricators are likely to offer you discounts if you decide to purchase quartz countertops for your entire kitchen or bathroom. Just think of this as bulk buying, and it is something that gives you the opportunity to earn discounts or deals. If you need more help with buying and installing quartz countertops, ask our designers here at Hard Rock Imports. 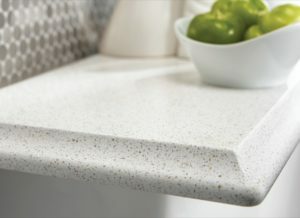 We offer quality countertops at affordable rates. Call us today for a no cost, no obligation design estimate!